Ellen White (1827-1915): Ellen White’s description of the parable of the Ten Virgins: “The sun has set behind the mountains, and the heavens are curtained with the shades of evening. In full view is a dwelling house lighted up brilliantly as if for some festive scene. The light streams from the openings, and an expectant company wait around, indicating that a marriage procession is soon to appear. In many parts of the East, wedding festivities are held in the evening. The bridegroom goes forth to meet his bride and bring her to his home. By torchlight the bridal party proceed from her father’s house to his own, where a feast is provided for the invited guests. In the scene upon which Christ looks, a company are awaiting the appearance of the bridal party, intending to join the procession. Lingering near the bride’s house are ten young women robed in white. Each carries a lighted lamp and a small flagon for oil. All are anxiously watching for the appearance of the bridegroom. But there is a delay. Hour after hour passes; the watchers become weary and fall asleep. At midnight the cry is heard, “Behold, the bridegroom cometh; go ye out to meet him.” The sleepers, suddenly awaking, spring to their feet. They see the procession moving on, bright with torches and glad with music. They hear the voice of the bridegroom and the voice of the bride” (COL, pp. 405, 406, 1900). John Ross Mac Duff (1818-1895): “The evening shadows have fallen over Jerusalem—the sun has set behind the mountains of Bether – the gates are shut; …While the curtain of night has thus been drawn around other homes of the city, one of these is illuminated for a festive occasion. Lights are seen gleaming through the lattice of the windows, and an expectant crowd indicate that a marriage procession is momentarily expected. The Jewish nupitals, as in many parts of the East to this day, were celebrated in the evening – generally after sunset. In accordance too with Hebrew wont, the Bridegroom, with…his own special friends – has gone to fetch his home his affianced bride. By torchlight – amid the flare of flambeaux – he will conduct her along these streets from her Father’s House to his own, where a banquet is prepared for the invited guests. Nigh to the bride’s home, lingering not far from the doorway, are seen ten young women in white festal attire. Each of these bridal attendants has a lamp in her hand, and a small flagon or vessel of oil slung at her side. Their lamps are lit. They have been waiting – moment after moment, hour after hour, for the coming of the Bridegroom, – their eyes wistfully turned towards the house wither he has gone…Some unforeseen reason has occasioned delay. Wearied with excitement and fatigue of the long wait, these vestal watchers have, one after another, dropped asleep, their lamps left to burn as they may… At last, midnight arrives; and in that silent season the sleepers are startled with the cry from the lips of some herald or messenger, “Behold, the bridegroom cometh!” All at once, the sealed eyes are opened; – drowsiness and slumber are exchanged for life and activity. The ten virgins have sprung to their feet; the procession which they have been waiting to join, is close at hand, with its waving torches and loud music, “the voice of the Bridegroom and the voice of the Bride (Jeremiah VII: 34)” (Memories of Olivet, pp. 265, 266, 1868). Ellen White (1827-1915): “The parable of the talents has a relation to that of the ten virgins, which preceded it. In the parable of the virgins, Jesus had presented events connected with his second coming, showing the duty of being in readiness, and waiting and watching for that great event; and in the parable of the talents he brought before his disciples in the most impressive manner the solemn, sacred duty of unselfish, vigilant labor in the cause of God. Jesus would teach us that it is not by a life of quiet, prayerful meditation alone that Christian character is perfected; something more is needed to give us a fitness for his second appearing. Neither does religion consist altogether in work; it is not necessary to be always busy, loaded down with cares and responsibilities, so that the cultivation of personal piety is neglected. Paul’s exhortation to Timothy was to the point: “Take heed to thyself,” and then “to the doctrine.” Keep thyself in the love and fear of God, and then preach the word with all diligence. We are to be, “not slothful in business, fervent in spirit, serving the Lord” (Signs of the Times, 1884: The Right Use of Talents). John Ross Mac Duff (1818-1895): “Most of our recent commentators have correctly seized the special distinctive lesson of this parable, and its relation to that of the ten Virgins, which immediately precedes it. The great duty inculcated by the latter, is vigilant activity for the coming of the Lord. The lesson present is the counterpart and complementary duty, of vigilant working in the prospect of that solemn event. It is indeed the union and combination of the two, which constitutes the ideal of the Christian character, ‘the perfect man in Christ.’ Not all waiting or contemplation; – not a life of quiet, prayerful meditative abstraction – the mere subjective of religion; nor yet all outward bustle and busy excitement to the neglect of the cultivation of personal piety; – but the happy incorporation and blending of both, ‘not slothful in business, fervent in spirit, serving the Lord’” (Memories of Olivet, p. 284, 1868). Ellen White (1827-1915): “There is not a follower of Christ but has some peculiar gift for the use of which he is accountable to God” (RH, May 1, 1888). John Ross Mac Duff (1818-1895): “There is not a professing member of the Church of Christ who is not the possessor of some such trust, for which is responsible to the almighty Donor, and which may be sanctified for the Master’s use” (Memories of Olivet, p. 286, 1868). Ellen White (1827-1915): “In all the Lord’s arrangements, there is nothing more beautiful than His plan of giving to men and women a diversity of gifts. The church is His garden, adorned with a variety of trees, plants, and flowers. He does not expect the hyssop to assume the proportions of the cedar, nor the olive to reach the height of the stately palm” (ST, March 15, 1910). John Ross Mac Duff (1818-1895): “The Church is a garden adorned with trees and plants and flowers; but the Lord does not expect the hyssop to assume the dimensions of the cedar, nor the olive to attain the height of the stately palm, nor the myrtle to be laden with the fruit of the vine, nor the lily to waft the perfume of the rose” (Memories of Olivet, p. 288, 1868). Ellen White (1827-1915): “To a greater or less degree, all are placed in charge of the talents of their Lord. The spiritual, mental, and physical ability, the influence, station, possessions, affections, sympathies, all are precious talents to be used in the cause of the Master for the salvation of souls for whom Christ died” (ST, October 26, 1911). John Ross Mac Duff (1818-1895): “All, in a greater or lesser degree, are invested with the goods of heaven, either natural, moral, or spiritual; from the trust committed to few – the talents of wealth, station, influence, intellect – to the talents belonging to the many – time, reason, unimpaired intellect, kindly sympathies and affections, the blessing of civil and religious liberty, and the like” (Memories of Olivet, pp. 286, 287, 1868). Ellen White (1827-1915): “None should mourn that they have not larger talents. When they use to the glory of God the talents He has given them, they will improve. It is no time now to bemoan our position in life, and excuse our neglect to improve our abilities because we have not another’s ability and position, saying, O, if I had his gift and ability, I might invest a large capital for my Master. If such persons use their one talent wisely and well, that is all the Master requires of them” (CS, p. 120, 1940). Ellen White (1827-1915): “Let not your thought or your words be, O that I had a larger work! O that I were in this or that position! Do your duty where you are. Make the best investments possible with your entrusted gift in the very place where your work will count the most before God” (ST, Oct 26, 1911). John Ross Mac Duff (1818-1895): “Let none needlessly mourn that they cannot glorify God by talents he never gave them, and for which they are not responsible. Let none say, ‘Had I been in another position in life, I might have invested in a large capital for my Lord.’ Though you are narrowed and restricted where you are to the one talent, use it well, and God will accept “according to what a man hath, not according to what he hath not” (Memories of Olivet, p. 288, 1868). Ellen White (1827-1915): “He does not expect the man of poverty to give alms as the man who has riches. He does not expect of the feeble and suffering, the activity and strength which the healthy man has. The one talent, used to the best account, God will accept “according to that a man hath, and not according to that he hath not” (CS, p. 119, 1940). John Ross Mac Duff (1818-1895): “He does not expect the lowly unlettered Christian to fight like the champion of faith. He does not expect from poverty the alms it has not to give, nor from the sick-bed sufferer the active energies which bodily prostration forbids” (Memories of Olivet, p. 288, 1868). The entire article, on “The Apostasy of Solomon,” by Ellen White, published in The Health Reformer, May 1, 1878, had been copied from the book “Memories of Olivet”, chapter 2, pages, 71- 81, by John Ross Mac Duff, 1868. Ellen White (1827-1915): “In his early youth Solomon was a noble character. He was named “Jedidiah,” which means “Beloved of the Lord.” He was the pride and hope of his father, and “tender and only beloved in the sight of his mother” (ST, November 26, 1896). John Ross Mac Duff (1818-1895): “… in early youth, pure and noble; his name “Jedidiah,” “the beloved of god;” the pride hope of his father, “tender and only – beloved in the sight of his mother,” (Prov. 4:3) (Memories of Olivet, p. 70, 1868). Ellen white (1827-1915): “Solomon possessed great intelligence, and learning, riches, and honor; yet all this was insufficient to insure his integrity to God, to himself, and to his nation. After a youth and early manhood of unsurpassed promise, there followed a blotted history of deterioration and iniquity. It might well be said of him, “How art thou fallen, O Lucifer, son of the morning!” (Health Reformer, May 1, 1878). John Ross Mac Duff (1818-1895): “O Lucifer! Son of the morning, how are you fallen?” … his life… was a history of deterioration. 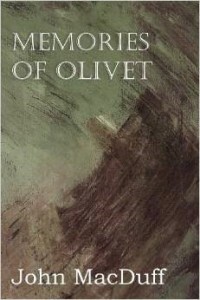 … Surrounded with all the gifts of fortune and genius, raised in the pinnacles of unexpected and unparalleled earthly grandeur, he became the victim of degraded passions…” (Memories of Olivet, p. 72, 1868). Ellen white (1827-1915): “God had expressly forbidden his chosen people to marry with the idolatrous nations around them. God singled out Israel to make them the depository of the true faith, and he placed a high barrier between them and the rest of the world. Their safety depended upon keeping pure, and preserving their unity with each other and with God” (Health Reformer, May 1, 1878). John Ross Mac Duff (1818-1895): “… God’s will and purpose in singling out Israel from the surrounding nations as the depository of the true faith. A wise barrier had been erected between them and the rest of the world; and their safety consisted in conserving the ancient landmarks and remaining a standing witness to the unity of the divine being” (Memories of Olivet, p. 72, 1868). Ellen white (1827-1915): “The original character of Solomon, as manifested during the earlier years of his reign, was bold, honorable, and judicious… As his mental powers became enervated and degraded by his dissipation and lascivious habits, he grew hasty, fitful, and tyrannical… He who had prayed at the dedication of the temple that the hearts of his people might be undividedly given unto the Lord, had become a weak, fallen man. It was through his connection with idolaters that he became thus profligate and a despot. He maintained his unreasonable extravagance by heavy taxation, and lived in a state of unrivaled luxury and magnificence… He endeavored to unite heathenism with the faith of the Hebrews, mistaking his own unscrupulous license for liberality and merciful toleration. But his attempt to unite darkness and light, in serving God and Baal, was like mingling ink and pure water… This was the result developed by Solomon in his attempted union of God and Belial. He came finally to disregard all religions” (Health Reformer, May 1, 1878). John Ross Mac Duff (1818-1895): “Solomon’s character, originally bold and independent, became enervated… His fine sensibilities were blunted – his conscience seared. The lauded justice and magnanimity of his early reign was changed into tyranny. … His extravagance was maintained at the expense of a grinding taxation. … “He who had prayed for his people at the dedication of the Temple, ‘Let your hearts be undividedly given unto the Lord,’(1 Kings 8:61,) now himself began to divide his heart. … mistaking wild licence for liberty and toleration. He attempted (what was impossible) to fuse all religions into one. He tried to incorporate light with darkness, Christ Belial, purity with impurity, good with evil. … He became indifferent to all religion” (Memories of Olivet, pp. 73, 74, 1868). Ellen white (1827-1915): “Moral worth has a charm that wealth and outward attractions do not possess. The woman having the ornament of a meek and quiet spirit, in the sight of God has an endowment of great value, before which the silver of Tarshish, and the gold of Ophir, are worthless. Solomon’s bride, in all her glory, cannot compare with one of these household treasures” (Health Reformer, May 1, 1878). John Ross Mac Duff (1818-1895): “… those who make outward attractions, or wealth, or brilliant connection, a substitute for moral and spiritual qualities. Though beautiful as Tirzah – though partimonied with the gold of Ophir, the silver-mines of Tarshish, and the ivory palaces of Phoenicia. … better she, who, destitute in anything else, has “the ornament of a meek and a quiet spirit, which, in the sight of God, is of great price,” Solomon, nor Solomon’s Bride, in all their glory, were not arrayed like one of these!” (Memories of Olivet, p. 75, 1868). Ellen white (1827-1915): “Few realize that, in their lives, they constantly exert an influence which will be perpetuated for good or evil. Hundreds of years had elapsed since Solomon caused those idolatrous shrines to be erected on the mount; and, although Joshua [Josiah] had demolished them as places for worship, their debris, containing portions of architecture, were still remaining in the days of Christ. The prominence upon which those shrines had stood was called, by the true-hearted of Israel, the Mount of Offense… Solomon, in his pride and enthusiasm, did not realize that in those pagan altars he was erecting a monument of his debased character, to endure for many generations, and to be commented on by thousands… The marks of Solomon’s apostasy lived ages after him. In the days of Christ, the worshipers in the temple could look, just opposite them, upon the Mount of Offense, and be reminded that the builder of their rich and glorious temple, the most renowned of all kings, had separated himself from God, and reared altars to heathen idols; that the mightiest ruler on earth had failed in ruling his own spirit” (Health Reformer, May 1, 1878). John Ross Mac Duff (1818-1895): “As we gaze yet again on these ruined Temples, let us learn the perpetuative of evil influences. More than three hundred years had elapsed since the idolatrous shrines had been erected; and even although in the spirit of a reformer – an ancient iconoclast – Josiah had demolished them as places of worship, their relic, (the old stones and debris, if not some of the pillars and architecture,) remained so late as the days of our Lord – yes, indeed, even to this day the old site retains a name of bad pre-eminence – “the Mount of offence.” … To all the true –hearted among Israel, these stones were, for generations, an “offence.” Solomon may have reared them at that time in a moment of caprice, never dreaming of their permaneney, or that they would even outlive his reign. … Every worshiper in the Temple-courts read. …the builder of their temple- the penman of some of their sacred books, had miserably forsaken the Lord God of his fathers – that the mightiest ruler on earth, had failed to rule his own spirit” (Memories of Olivet, pp. 75, 76, 1868).